The Samsung Galaxy S3 for Verizon up until now did not benefit from Android 4.3 and all of the very cool features the operating system came with. 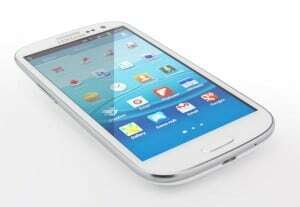 But now the American giant is updating its variant of Samsung’s phone from last year with it. What this means is that the Verizon Galaxy S2 is now enhanced with support for the Galaxy Gear and KNOX functionality. But the 4.3 version of Android is extremely rich in features and there are of course a number of other upgrades to the phone. The Camera has been changed as well and two new modes have been added to it: Sound and Shot modes. This upgrade has the build number JJSS15J.I535VRUCML1. It is being delivered to devices right now so if you haven’t got it already you can either wait for it or search for it by going to “Settings” – “About Phone” – “Software Updates”. You can read more about this upgrade if you click here. As soon as a download version is made available we will provide you with a download link.